Office 365 Administrators need to spend most of the time in PowerShell scripting to retrieve some information about their organization groups. They need to juggle between PowerShell cmdlets like Get-DistributionGroupMember, Get-DistributionGroup, Get-MsolGroup and Get-MsolGroupMember to fetch the group info. Get to know how many groups are in your organization. Get to know how many security and distribution groups in your organization. 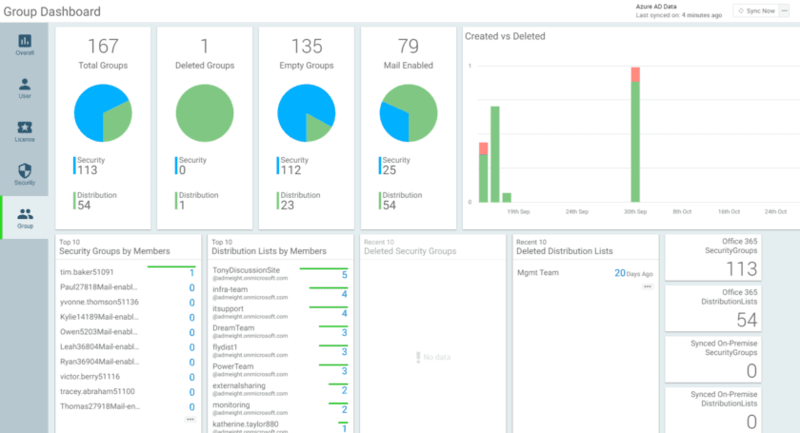 Get to know how many deleted security and distribution groups in your organization. Get to know how many numbers of empty groups in your Office 365 environment. Get to know how many mail-enabled groups in your organization. Get to know the top 10 recently deleted security groups and distribution lists in your Azure Active Directory. Get to know top 10 security groups and distribution groups by count. 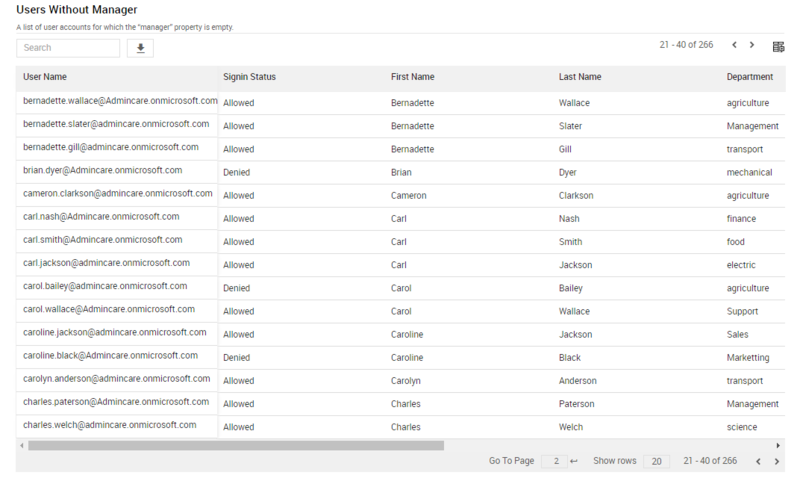 Get to know the trend information of groups creation and deletion in your Office 365 Directory. This report provides the complete list of all the groups exist in your office 365 environment. All the properties of the group object can be explored in this report. You can use the quick search option provided in the report to grab any information about the groups inside your organization quickly. This report provides you the list of all the distribution list in your Office 365. By default, groups are in alphabetical order. This report provides you the list of all the mail-enabled groups in your tenant. It gives you both the mail-enabled security groups and distribution lists. You can use the filter to restrict to particular group type. This report returns all the group objects synchronized from your on-premise Active Directory either through Azure AD Connect or Azure DirSync tool. Recently synchronized objects will appear at the top of the report along with their last dirsync time. It helps you to identify recently synced groups. This report gives the ordered result of groups by their size. You can use the inbuilt group type filter to slice and dice your data to narrow your analysis to particular group type.